Created for the opening of the tenth F.P. Journe boutique worldwide in Lebanon, the Chronomètre Bleu Byblos features an open-worked dial revealing the guilloche base plate, inside a tantalum case. Notably for a small scale independent watchmaker with an annual output is 700 to 800 watches, F.P. Journe has 10 boutiques worldwide, with the most recent opening in Beirut, Lebanon. To mark the opening of its first boutique in the Middle East, F.P. 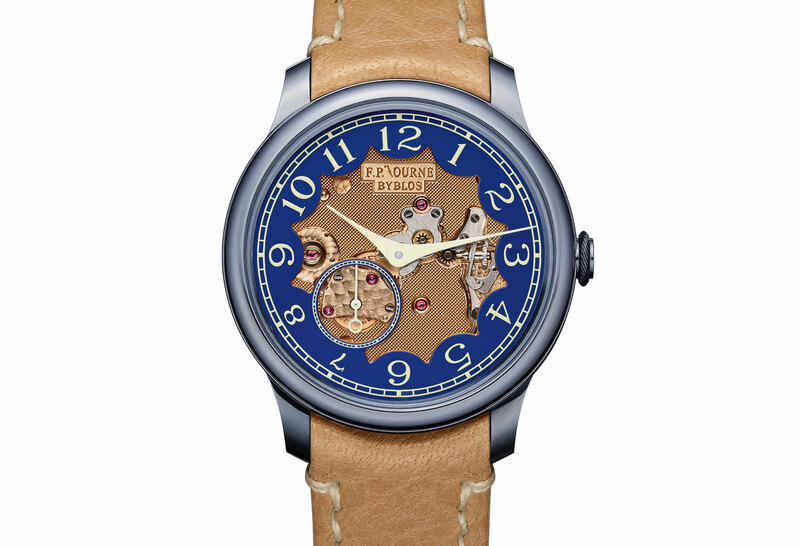 Journe has created the Chronomètre Bleu Byblos. The watch is named after Byblos, a Phoenician port city north of Lebanon and the oldest continuously occupied city anywhere – having been first settled some 10,000 years ago. Its most striking feature is the open-worked dial, something rarely seen on other F.P. Journe timepieces, recently the subject of an enlightening documentary. 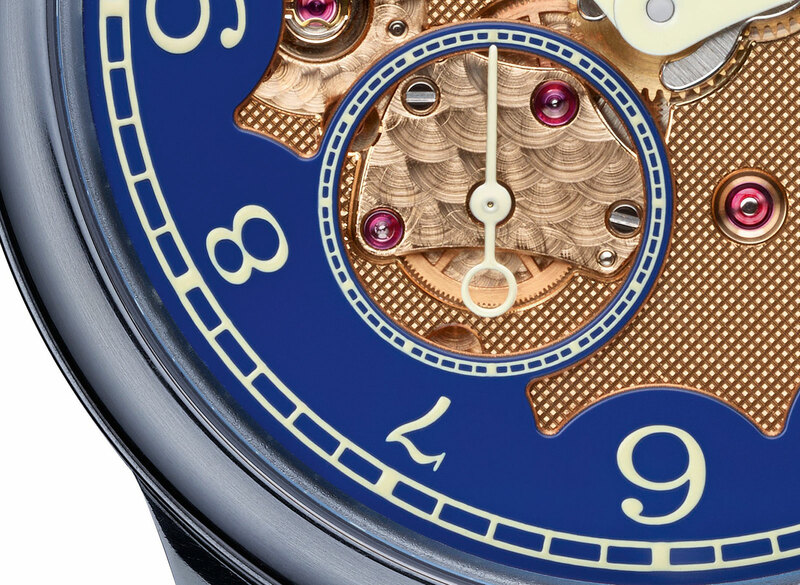 It reveals the 18k rose gold base plate of the movement, decorated with barleycorn guilloche, circled by a bright blue chapter ring. The motif is meant to represent the Sun in the blue sky of the Mediterranean. 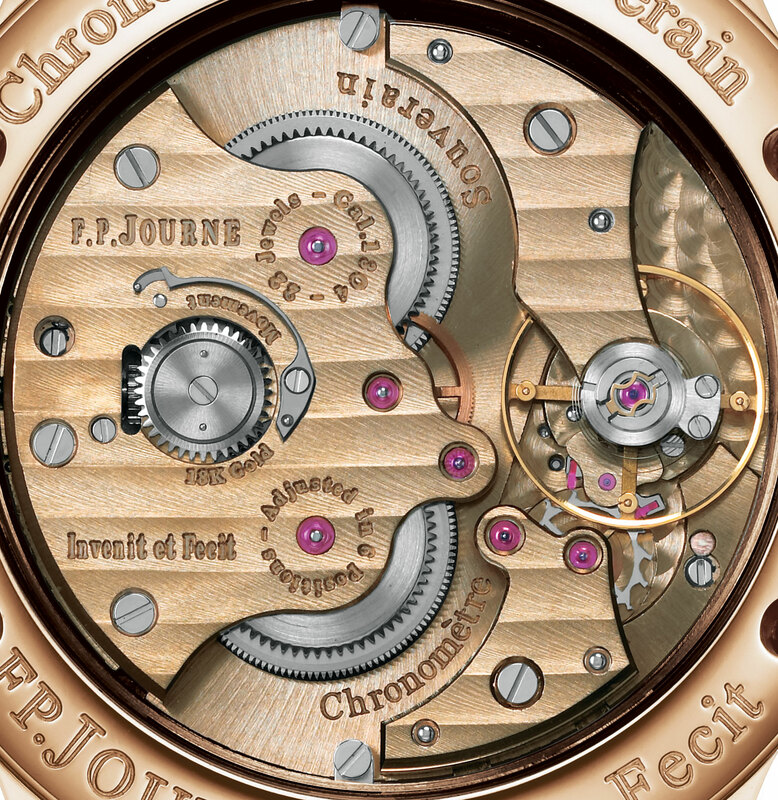 Interestingly, the brand’s logo at 12 o’clock, engraved directly on the movement base plate, has the letter “J” replaced by its equivalent in the Phoenician alphabet. The symbol represents the letter “yodh”, read as “J”. It symbolises the hand, a reference to the hand craftsmanship in Journe’s watchmaking. And appropriately, “yodh” is also the tenth letter in the Phoenician alphabet. The Byblos is based on the Chronomètre Bleu of the regular collection. The differences are all on the dial. 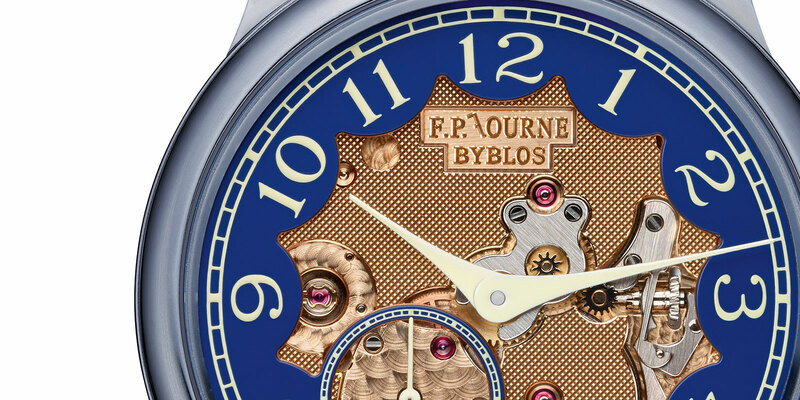 Compared with the dark metallic blue dial of Chronomètre Bleu, the Byblos has a brighter blue chapter ring. And the hands of the Byblos are white, as opposed to silver on the Chronomètre Bleu. But both share the same case and movement. Measuring 39 mm in diameter, the case is made of tantalum, a dense and hard bluish-grey metal occasionally used for watch cases. Tantalum is not used more often as it is pricey to process and machine due to its hardness. Inside is the calibre 1304, a manually wound movement with twin barrels and a 56 hour power reserve. Like all F.P. Journe movements the base plate and bridges are in solid 18k rose gold. The Byblos is fitted on a tan buffalo strap. The Chronomètre Bleu Byblos is limited to 99 pieces, available from any of the F.P. Journe boutiques. It will cost 18,4000 Swiss francs before taxes. A complete revamp of the perpetual calendar by F.P. Journe, featuring a window-based display and easy setting.